Our convenient location close to the center of the city has made us a popular choice among travelers. 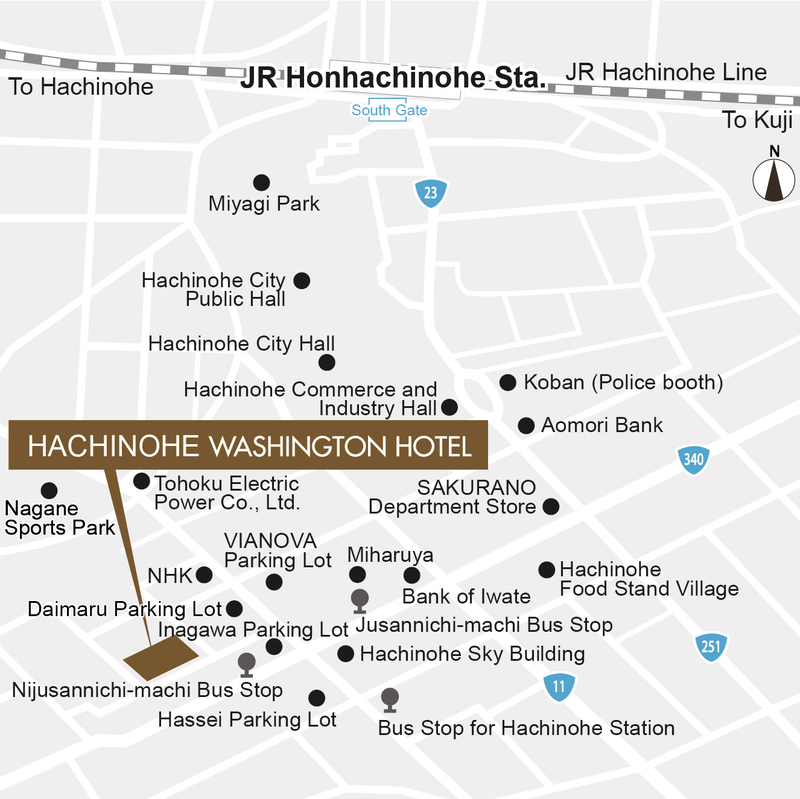 Take a shuttle bus which runs every day bound for the Hachinohe-Yoka-machi bus stop (about 55 minutes; 1,400 yen). The hotel is about 15 minutes walk from the bus stop. Take a City Bus from bus stop no. 1 or 2 bound for Chushingai. Get off at the Nijusannichi-machi bus stop (about 20 minutes; 300 yen). Take a Nambu bus from bus stop no. 3 or 4 bound for Chushingai. Get off at the Nijusannichi-machi bus stop (about 20 minutes; 300 yen). Take a city bus bound for Chushingai. Get off at the Jurokunichi-machi bus stop (150 yen). 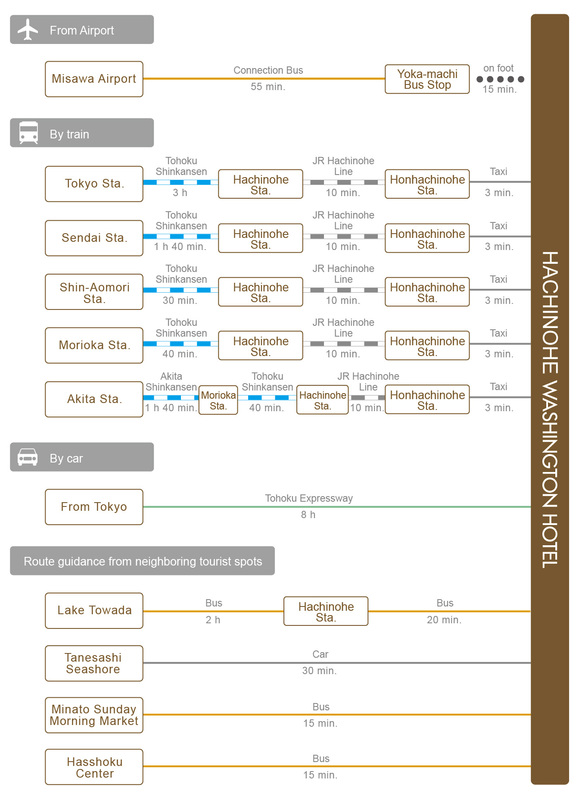 The hotel is about a 5 minute walk from the stop.